Bitcoin cash price fell to a new low below the $620 level recently against the US Dollar. There is a new connecting bearish trend line forming with resistance at $640 on the hourly chart of the BCH/USD pair (data feed from Kraken). The pair remains supported on the downside near the $615-620 area in the near term. Bitcoin cash price is holding a crucial support near $620 against the US Dollar. BCH/USD may recover in the short term above the $650 level. 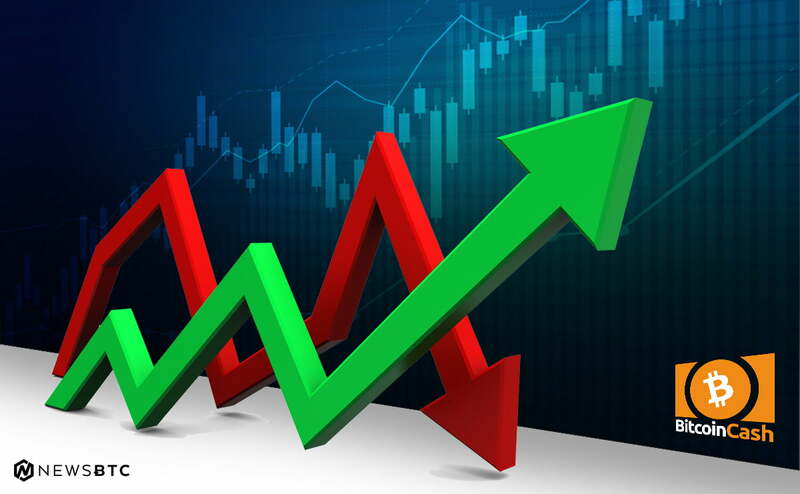 There were more declines below the $630 level in bitcoin cash price against the US Dollar. The price even broke the last low and traded to a new monthly low of $616.1. Later, it found tiny support and moved back above the $620 level. 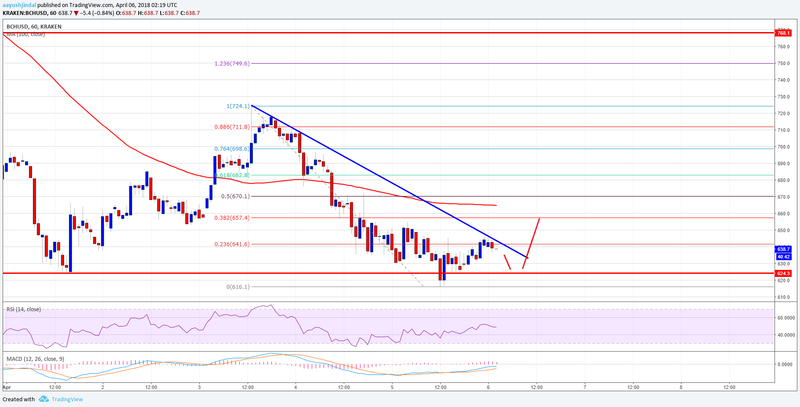 At the moment, the price is trading near the 23.6% Fib retracement level of the last decline from the $724 high to $616 low. Moreover, there is a new connecting bearish trend line forming with resistance at $640 on the hourly chart of the BCH/USD pair. The trend line resistance near $640 is acting as a major hurdle for buyers. However, as long as the price is above the $620 level, it may break the trend line. Above $640, the price may trade towards the 100 hourly simple moving average. The 100 hourly SMA is just below the 50% Fib retracement level of the last decline from the $724 high to $616 low. Therefore, the $665-670 zone could act as a major hurdle for buyers. On the downside, the $620 support holds a lot of importance. A break below the $620 support could open the doors for a move towards $600.